MRI Rigging of Wichita can supply you with the qualified personnel and proper MRI rigging equipment and any crane size from 30 tons to 500+ ton. Our basic MRI rigging deliveries are usually completed within 3-5 hours based on the system and site complexity required for the MRI rigging. MRI Rigging of Wichita will manage and coordinate your rigging efficiently and effectively. We can meet any of your sensitive special handling protocols and procedures. We will manage and meet your requirements for both service and price. Implementing a tailored made approach to meet your company objectives. 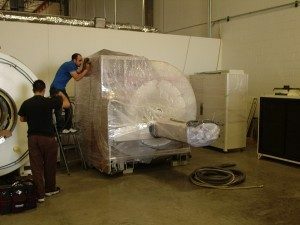 MRI Rigging of Wichita can prepare an aggressive approach and achieve logistics solutions that drive strategic initiative MRI rigging goals. Changes in projects are expected and we will adapt to those changes to help stay within your MRI moving budget. Viking Rigging is your Wichita full service professional MRI Rigging, Moving and Storage expert company. 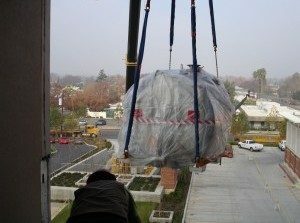 MRI Rigging and Moving of Wichita does turnkey MRI de-installs for almost all makes and models MRI systems. We will go to your site, test system , do inspection, de-install, inventory, take pictures, and collect serial numbers. After all of this has been completed and we have communicated to our MRI rigging customer, we will work with your site and make sure rigging is completed. We are able to crate on site and MRI load containers right there and then. Wichita MRI Rigging will coordinate all container shipping to ship to you or your customer location. Wichita MRI Storage is also available. 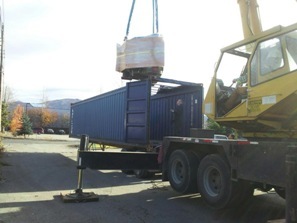 In addition to our Medical MRI Moving and Transport Services, we provide MRI Cold Storage. MRI Cold Storage magnets are monitored daily, checking for helium levels, compressor operation, and magnet shield temperatures. We have chillers and compressors that are capable of supporting multiple MRI units in MRI Cold Storage. We will provide regular reports on the status of your equipment, and take excellent care of your Wichita Area MRI Rigging assets. I’m here to assist hospitals, companies and organizations with all their Wichita Area MRI rigging and moving needs. I will provide you with expert MRI rigging, moving and storage services in the Wichita area. 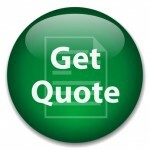 Thanks for taking the time to view this Wichita MRI Rigging company service website.